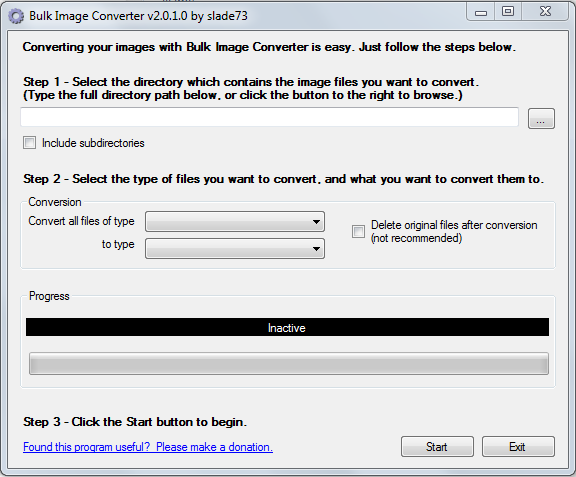 Bulk Image Converter a simple, easy-to-use program for converting multiple image files from one format to another. Supports the following image formats: BMP, EMF, EXIF, GIF, JPG/JPEG, PNG, TIF/TIFF, and WMF. If you need more information please contact the developers of Bulk Image Converter (slade73), or check out their product website.